Jerry North was quite nervous because he was going to deliver the introductory speech for a talk by Victor Leeds Sproul at the Today's Topic Club. Sproul had become a best selling author for Jerry's publishing company, Towsend Brothers. Sproul's book was a big hit because it described Paris as it was before WW II (This mystery was published in 1943). Before Sproul had written this nonfiction book, he had published several not very successful novels during the period when he was living in Paris. Jerry believed that these novels had included people whom Sproul had know. "You could almost see the people whose lives Mr, Sproul had borrowed squirming uneasily on the pages to which Mr. Sproul had pinned them." Jerry got over his nerves and delivered his speech and turned to Sproul who was sitting on a chair onstage. Sproul did not move. Indeed Sproul would never move again because Sproul was dead. For a while it was a question of whether Sproul had committed suicide or had been poisoned but morphine poisoning was finally ruled the cause of death. Before Sproul had gone on stage, he had met with his agent Y. Charles Burden who had arranged a speaking tour which was to begin with the talk at the Today's Topic Club. Sproul also met with Mrs. Paul Willians who was the program chairman. She was a very uptight and successful lawyer in her mid thirties. Loretta Shaw was also present. She had divorced her husband, and believed Sproul when he said he would marry her, but she was beginning to have her doubts and her ex-husband was looking a lot better. There were several others from Sproul's life in Paris whose secrets he may have known. This is very much Lieutenant Bill Weigand's investigation. He believed that the notes for the lecture that Sproul was going to deliver contained a secret about somebody in the audience who did not want it made public. Bill got the notes, lost the notes, and got the notes back again with the help of a little dark man with the difficult name of Bandelman Jung. Pam North was hampered in her usual part in the investigation because she was playing hostess to two teenage nieces who were very much interested in all the sailors and marines who were in New York at this time. The sailors and marines were also quite interested in the nieces. and Pam needed to be a chaperone. She did manage to get into a wacky pursuit down Fifth Avenue in the rain. Pam and Jerry North had always been favorites of mine. They are pleasant people, and the murders which they investigate are not gory. 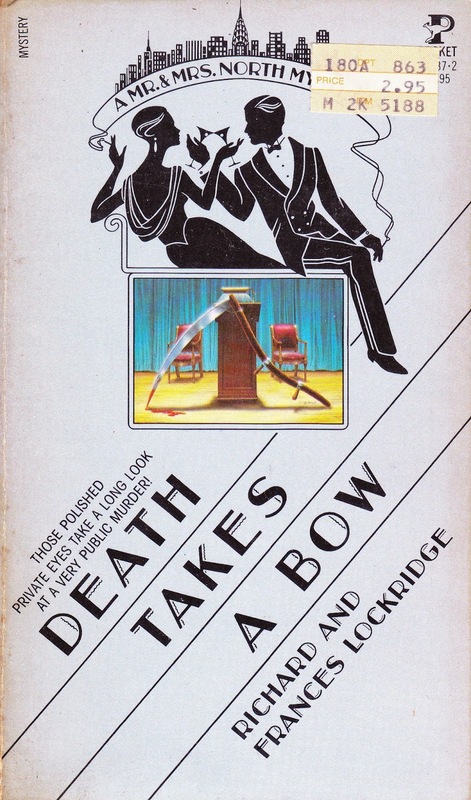 This book was published in 1943, and is now out of print. Used copies are available. 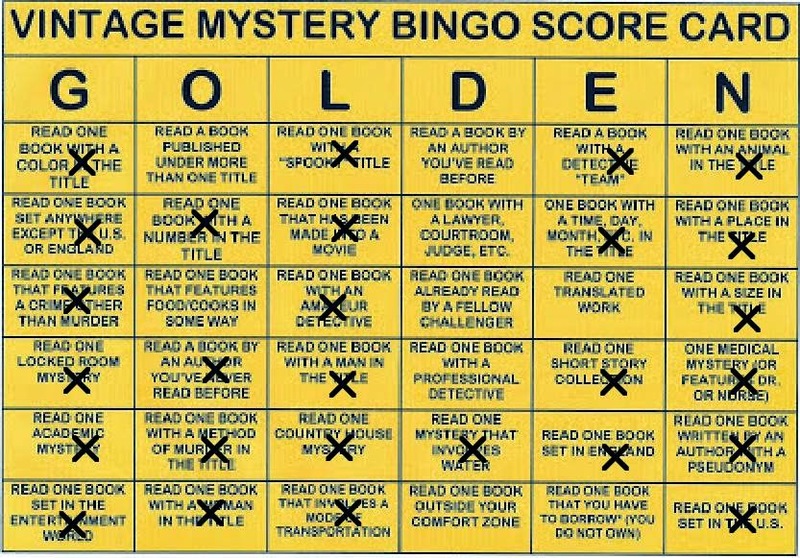 I have read this book for the 2014 Vintage Mystery Bingo in the category of a book with a detective team. I'm glad you enjoy these. The light and breezy mysteries by the Lockridges are favorites of mine as well.